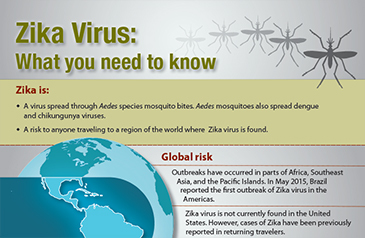 The World Health Organization meets next week to decide whether to declare Zika a global emergency.The virus is spreading fast across the Americas, and WHO expects 3-4 million people to be infected over the next year.The World Health Organisation has convened an emergency committee to discuss the “explosive” spread of the Zika virus, which has been linked to thousands of birth defects in Latin America. The spread of the virus has prompted governments across the world to advise pregnant women against going to the areas where it has been detected. There is no vaccine or cure for Zika, which has been linked to microcephaly, a serious condition that can cause lifelong developmental problems. The Zika outbreak and spike in microcephaly cases have been concentrated in the poor and underdeveloped north-east. But the south-east, where São Paulo and Rio de Janeiro are located, is the nation’s second hardest-hit region. Rio de Janeiro is of particular concern, since it will host the Olympic games this summer.